Average 4.6 / 5 out of 37 total votes. When a young woman is killed in a traffic accident on her way home from work at a tax bureau, she suddenly finds herself transported to the world of the otome game she was playing the night before – but instead of the heroine, she’s been reincarnated as the bad guy! Using her knowledge of the game, “Iris” manages to avert personal disaster and decides to rebuild her life with her modern-day economic know-how. This is one mean girl who isn’t going to let her perceived reputation stop her from being a heroine! 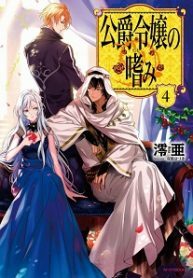 You’re reading Japanese web Novel Common Sense of a Duke’s Daughter on BOXNOVEL. We will have 265 WN Chapters (Finished). Thanks!